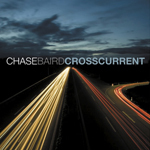 Crosscurrent is 22 year-old tenor saxophonist/composer Chase Baird's debut as a leader. These are the basic facts, but they fail to convey anything meaningful about the music to be found here. Crosscurrent doesn't sound like a debut album: Baird's sax playing doesn't sound like it comes from a 22 year-old. This is a beautifully assured recording, full of lovely ensemble playing and creative solos from Bairdwho attracted the attention and support of Michael Brecker when Baird was aged just 14and his talented fellow musicians. There are two covers on Crosscurrent: Bob Haggart and Johnny Burke's "What's New" and Cole Porter's "All of You." "What's New" begins with delicate guitar and percussion from John Storie and James Yoshizawa. Storie's playing is floating, almost dreamlike, and establishes the tune's atmosphere ahead of Baird's delicate, controlled yet emotive sax. "All of You" opens strongly and seems to be heading towards up-tempo, almost funky, territory. But the entry of Baird's tenor sax heralds a calmer and more reflective arrangement that includes a smooth, thoughtful, solo from Storie. Baird's own playing is evocative, especially in the closing minutes, as he takes the melody line and invests it with a powerful emotional intensity. Baird's own compositions are impressive in their range and invention. "Fifth Direction" wears its hard bop influences on its sleeveit grooves from the first beat. Bassist Chris Tordini and drummer Steve Lyman deserve much of the credit for the tune's drive and vivacity while Julian Waterfall Pollack's piano solo skips and swings delightfully. Pollack's rounded, chunky, left-hand playing is to the fore on "Crosscurrent"a complex tune that is nonetheless readily accessible. "Lunessence" starts with some lovely unison playing between Baird and Storie but despite some swinging musicianship the tune lacks dynamics and is somewhat anonymous. "The Traveler" is a little too laid-back and soft for most of its lengthit doesn't connect on an affective level until Lyman's hard-hitting, almost aggressive, drum break. The quality lifts again with "Cascade." From its opening bars this tune is immediately inviting, accessible and, in the best sense of the word, heartwarming. Pollack's synthesizer solo harks back to progressive rock players like Rick Wakeman or Keith Emersonbut it's brief, inventive and fun, avoids the trap of self-indulgence that was the fate of too many prog solos. In contrast to the upbeat "Cascade," "Dusk" is a limpid, mellow tune which is centered on solos from Pollack's beautifully light piano and Baird's own rich and rather mournful sax. "Cascade" and "Dusk" represent the emotional heart of the album, bringing together the joyousness and quiet reflection within Baird's compositions and playing. Crosscurrents is a positive and beautiful recording from a strong new talent. If any more evidence is needed that the future of jazz is in safe handshere it is. Track Listing: Fifth Direction; Crosscurrent; Infinite Motion; What's New; Lunessensce; The Traveler; Cascade; Dusk; All of You. Personnel: Chase Baird: tenor saxophone; Julian Pollack: piano, keyboards; John Storie: guitar; Christopher Tordini: bass; Steve Lyman: drums; James Yoshizawa: percussion.